Agriculture being the backbone of Uganda, BIRUDO identified farmer groups, established their status and trained 172 farmer groups in Buliisa District in areas of monitoring and evaluation, leadership roles and skills, record keeping and management, financial management, group constitution making, conflict resolution and gender issues. 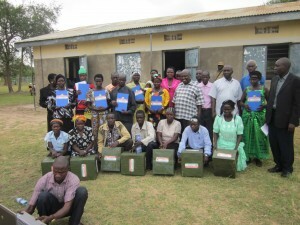 BIRUDO also provided farmers of Buliisa District with such agricultural technologies as banana suckers, bee keeping and goat rearing. 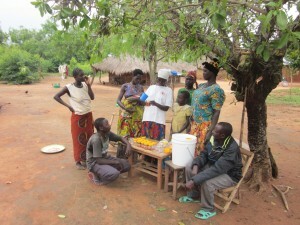 BIRUDO, in partnership with International Labour Organization (under Youth Entrepreneurship Facility), is currently implementing the Honey Production for Young Women Empowerment Project in Buliisa District aiming at empowering young women bee keepers in order for them to play a bigger role in the honey production and value addition chain, marketing and market linkage and be transformed from local honey producers to modern honey producers. 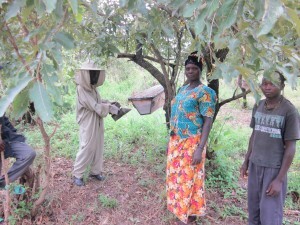 To boost the young women’s capital, BIRUDO set up 7 village savings and credit schemes for young women bee keepers in Buliisa and Ngwedo sub-counties in Buliisa district.